Steamboat Springs provides a year round destination to the northern mountains of Colorado. This quaint town is a colorful community full of activity and cowboy culture. 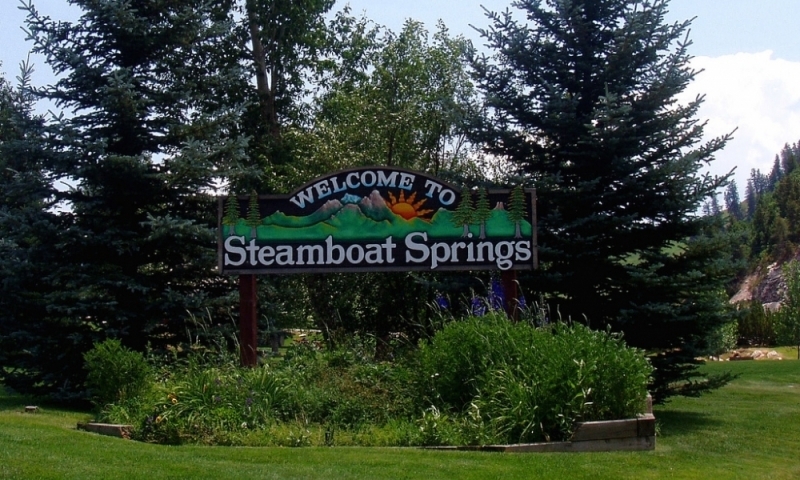 Steamboat was born as a ranching community in the 1800s. The broad Yampa Valley not only appealed to the cattle rancher, but its mountains lured in skiers seeking adventure and powder. Steamboat Springs, like many of Colorado's mountain towns, offers a setting for outdoor exploration and adventure. Located in the northwestern mountains of Colorado, this town is often referred to as Ski Town USA and known for its World Class skiing facilities. Travelers began visiting the area in the early 1900s, seeking the natural hot springs, vast hunting and fishing opportunities the summer season provided. Today, summer and winter activities span the spectrum providing an ideal destination for year round travel. Access to the Steamboat Springs area is easy via Yampa Valley Regional Airport and Denver International Airport. Steamboat is the most accessible ski resort in Colorado with daily flights arriving at the Yampa Valley Regional Airport, located just 22 miles from town. Rental cars, along with ground transportation services are available at the airport. Once you are in Steamboat Springs enjoy the free transportation within the city limits to help you get from your lodging property to various locations throughout town. Driving to Steamboat Springs offers a beautiful scenic drive meandering through the mountains. The quickest route from Denver International Airport is Interstate 70 West to the Silverthorne exit and continues along Colorado State Route 9 North to Kremmling. Then take US 40 West over Rabbit Ears pass, which descends into the Yampa Valley and Steamboat Springs. The drive is 160-miles and offers spectacular views of the I-70 corridor. The town of Steamboat offers small town hospitality with an authentic Western feel. There are over 70 restaurants and bars, a wide variety of lodging options, as well as unique shops and boutiques. Visitors find the climate to be comfortable in all four distinct seasons. Visit our website dedicated to Steamboat Springs Colorado! Check out our guide to Steamboat Springs at AllSteamboat.com!